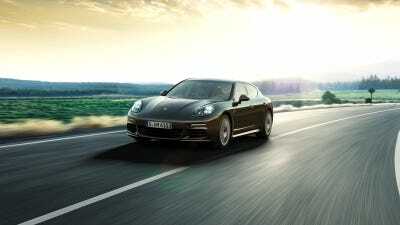 With the introduction of the Panamera Exclusive Series at this year’s Los Angeles Auto Show, Porsche will now be selling an incredible 12 different versions of its flagship luxury car. 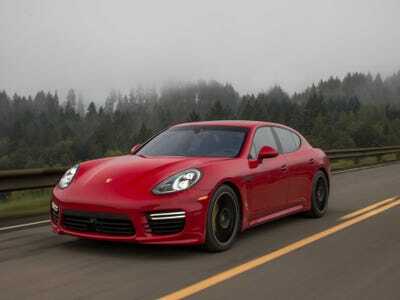 First introduced in 2009, the Panamera has become a sales success — giving Porsche its first legitimate four-door sedan to compete with the likes of the Aston Martin Rapide, Bentley Flying Spur, and Maserati Quattroporte. 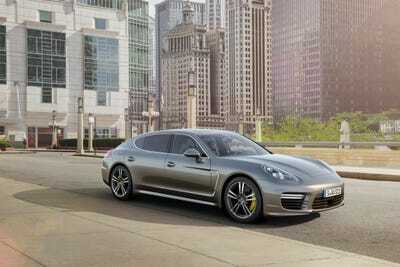 Like many of the company’s other models, the various versions of the Panamera may be difficult to tell apart. However, like the Porsche 911, each iteration of the Panamera are differentiated by very subtle, but important differences. 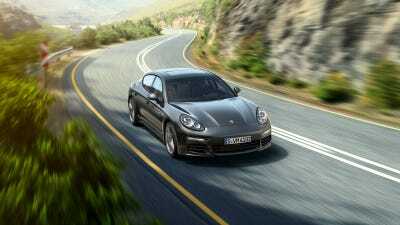 In the US, Porsche currently sells various versions of the Panamera in two different sizes and with 5 different engines. 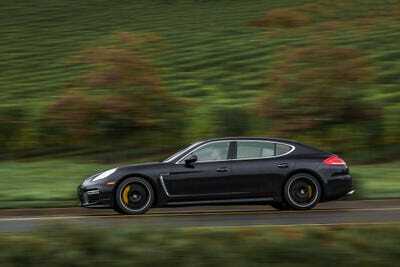 The 'standard' Panamera has a starting price of $78,100 and comes with 3.6-liter 310-horsepower V6 engine. 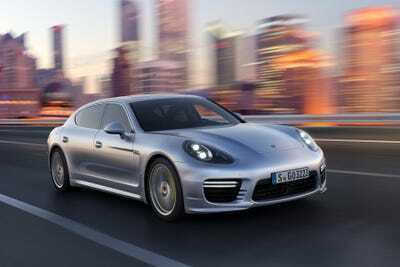 The Panamera 4 is simply the base Panamera with all-wheel-drive. 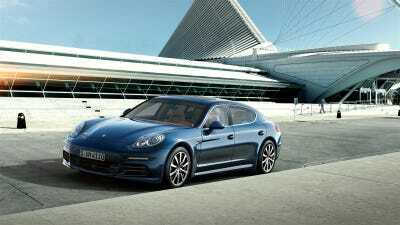 The Panamera S sits just above the base version in the lineup. It comes with a 420-horsepower, twin-turbocharged, 3.0-liter V6 engine. The S is also available with AWD. Shockingly, it's called the '4S.' Ah, Germans! So organised in their thinking. 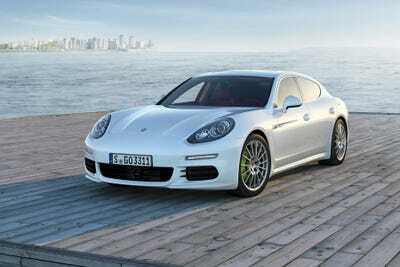 Eco-conscious buyers should take a look as the Panamera S E-Hybrid. The plug-in hybrid is powered by a supercharged version of the S's V6, along with a 95 hp electric motor. In all, the E-Hybrid has 416 horsepower and a top speed of 167 mph. 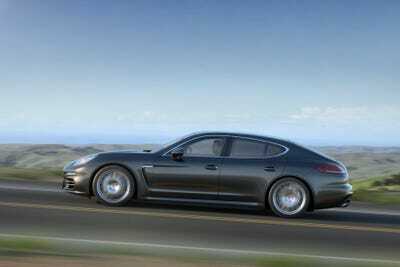 The Panamera 4S Executive is a 4S that's stretched an extra 6 inches for some added rear legroom. Because all executives like extra legroom -- and besides, who wouldn't want to ride in the back seat of a Porsche? 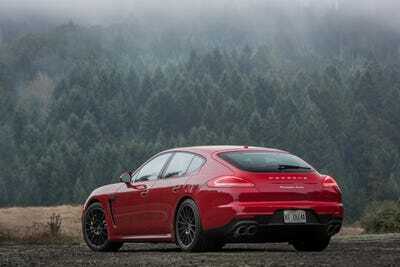 The GTS is 'cheapest' Panamera available with a beefy V8 engine: $114,000. In this case, it's a 4.8-liter unit that cranks out an impressive 440 horsepower. 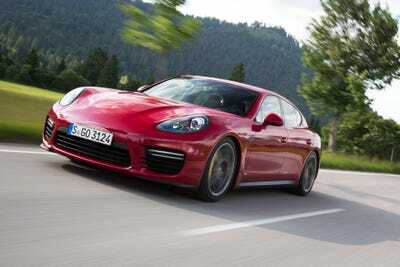 The Turbo offers the same user-friendly package as other Panameras, but with an insane 520 horsepower from a twin-turbocharged version of the GTS's 4.8-liter V8. The Turbo Executive is the Turbo for...executives! 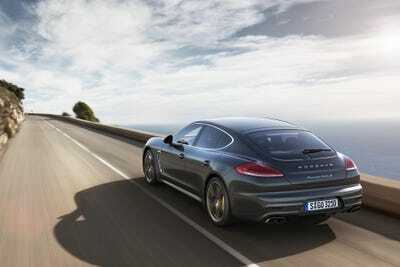 Meaning that it has more room in the back seat, where executives prefer to sit in their Porsches. The Turbo S is the Turbo -- but now with 570 horsepower. What a difference an 'S' makes! Naturally, if you want to spend most of your time in the back seat of your Turbo S, there's the...Turbo S Executive! 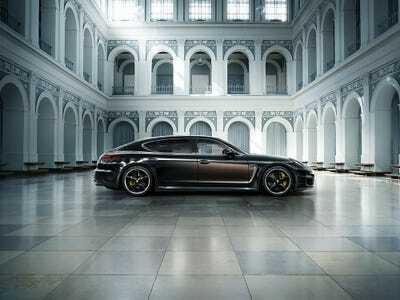 At $263,000, the Exclusive Series a limited-edition, custom-built version of the long-wheelbase Turbo S Executive and is the most expensive Panamera of all time. It's a Porsche limousine.